Being different isn't always easy. When Cece Bell loses her hearing, she has to learn how to navigate the world in all new ways, including wearing a cutting-edge 1970s hearing aid and figuring out how to make friends when she can't always hear what people are saying—or when she hears too much. 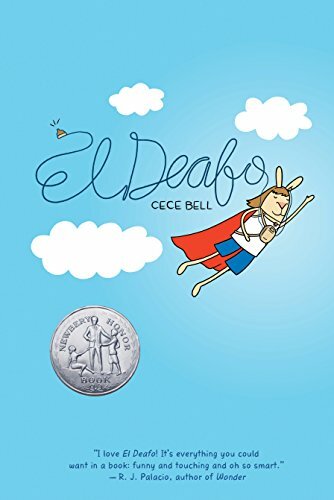 Cece is a likable, friendly character, and her story—part memoir, part graphic novel—is one that almost every middle schooler can relate to. This is one of the graphic novels designed specifically for the Kindle, so you don't have to worry about weird formatting issues. Newer PostSponsored Post: The SEA Conference Is Coming Up, and That’s a Good Thing!